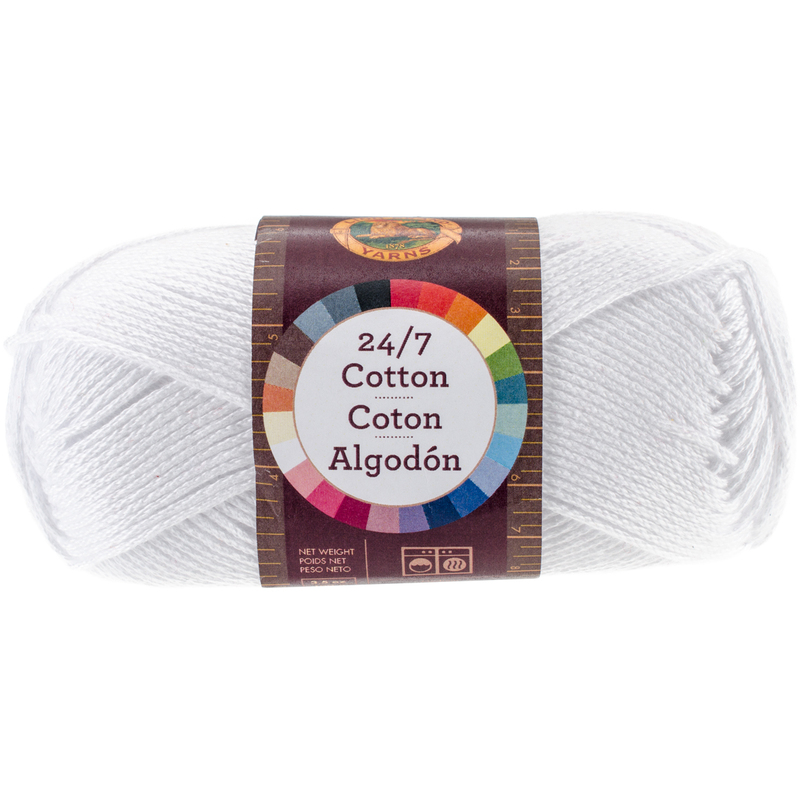 Lion Brand-24/7 Cotton Yarn. A reliable yarn for all your apparel projects! Weight category: 4. Content: 100% mercerized cotton. Putup: 3.5oz/100g, approximately 186yd/170m. Gauge: 20sx28r = 4in/10cm on size 6/4mm knitting needles. Suggested crochet hook size G/4mm. Dyelotted: we try but are not always able to match dyelots. Care: machine washable and dryable, dry cleanable with P solvents only, iron safe, do not bleach. Comes in a variety of colors. Each sold separately. Imported. • Lion Brand-24/7 Cotton Yarn. A Reliable Yarn For All Your Apparel Projects! Weight Category: 4. Content: 100% Mercerized Cotton. Putup: 3.5Oz/100G, Approximately 186Yd/170M. Gauge: 20Sx28r = 4In/10Cm On Size 6/4Mm Knitting Needles. Suggested Crochet Hook Size G/4Mm. Dyelotted: We Try But Are Not Always Able To Match Dyelots. Care: Machine Washable And Dryable, Dry Cleanable With P Solvents Only, Iron Safe, Do Not Bleach. Comes In A Variety Of Colors. Each Sold Separately. Imported.